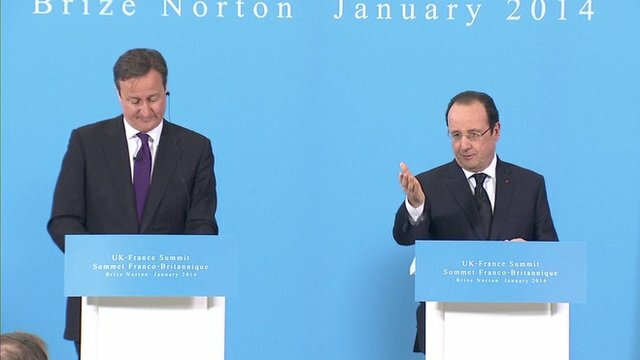 UK and France disagree on EU reform Jump to media player Differences have emerged between David Cameron and the French President, Francois Hollande, about the future of the European Union. 'Revising EU treaties not a priority' Jump to media player The French President, Francois Hollande, says he doesn't believe there needs to be a change to EU treaties. 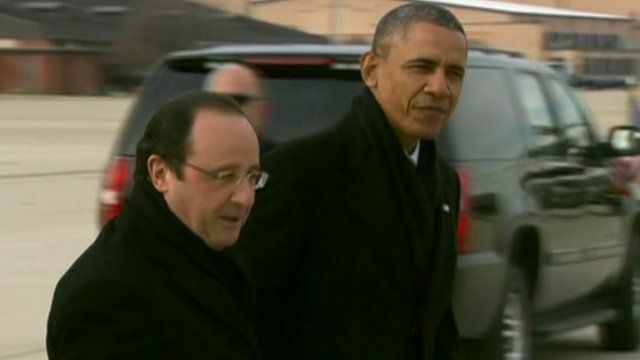 President Francois Hollande is beginning the first full state visit to the United States by a French president in nearly 20 years. In articles published jointly in US and French newspapers, they said "our deepening partnership offers a model for international cooperation". 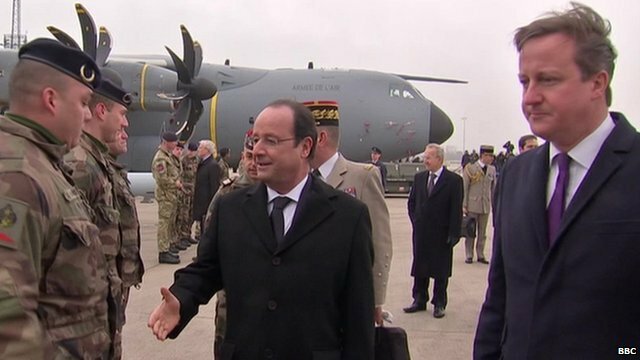 The trip comes as Mr Hollande is mired in low approval ratings at home and a personal scandal.